It’s sad that in America – the beacon of religious liberty – the progressives hate … and are so intolerant of … those with Christian beliefs. Judge Barrett is one of the finalists on President Trump’s short list for replacing retiring Supreme Court Justice Anthony Kennedy. People of Praise teaches that husbands are the heads of their households … and that they are tasked with being the spiritual leaders of their wives. 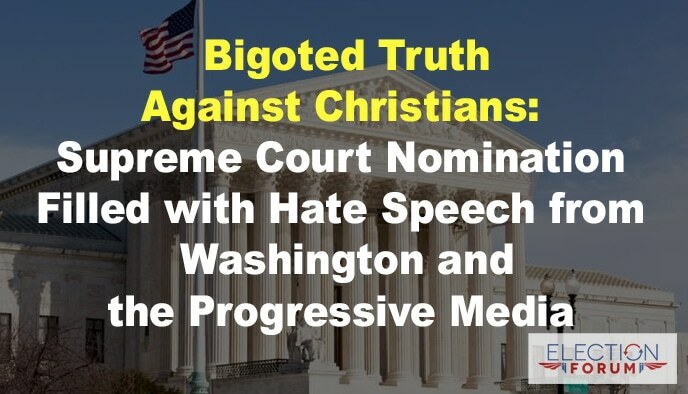 The progressive media and Democratic politicians attacked Barrett relentlessly for her Christian faith during her Senate confirmation hearing last year for the 7th circuit court of appeals – and they’re doing it again now. A former Obama White House staffer and evangelical author warns that the obvious religious bigotry expressed by Democrats could backfire badly in the next general election. Children of God are always attacked by the enemy! Although Judge Barrett may be a cultist (i.e., Roman Catholic), no doubt she is a fine constitutionalist and certainly would be a worthy nominee for SCOTUS. Christians will simply have to pray for her salvation in the meantime. I know quite a few Catholic Christians who are genuine “born-again” believers. Though I know that not ALL are, any more than it’s a guarantee that everyone who attends my own church has their act “fully together” with the Lord. We’re definitely ALL “a work in progress” when it comes to our Christian walk. But, as you stated, Judge Amy Barrett has good credentials and is well-qualified for this high government position, should she be appointed to serve our nation in this capacity. It would do our country well if EVERY person who served in office would have and hold on to good, Godly morals as they serve – including those who interpret the law in judicial chambers. 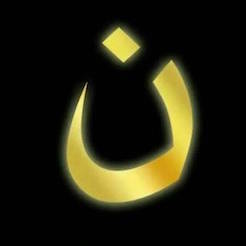 All need our continued prayers.